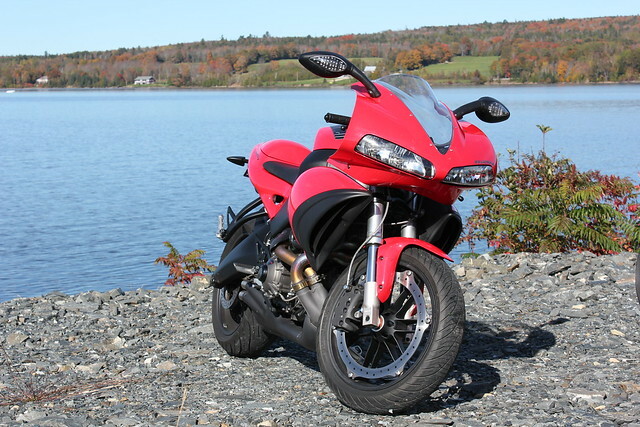 At the recent 2011 Atlantic Motorcycle Show, there were two sport bikes that I spent some time looking at, the Kawasaki ZX-10R and the BMW S1000RR. The reviews I have read on each are overly positive for these high horsepower machines. Motorcycle.Com recently put the two up against each other...they provide an in-depth comparison of the two bikes and in the end, they give the S1000RR a slight advantage over the ZX-10R. Well worth the read! This video from Motorcycle.Com provides a good overview of both bikes. Enjoy! Riding season is just around the corner and I am looking forward to getting out on the 09 Buell 1125R and the 02 V-Star 1100 Classic!